Both Taobao and Tmall are two of China's largest online retail platforms, and host products from foreign vendors including Apple, Calvin Klein and Uniqlo, among many others. However, Alibaba's e-commerce sites have often faced criticism for promoting knock-off goods made by local Chinese sellers. The criticism has yet to abate. In January, a Chinese regulator issued a report, claiming that Alibaba's sites still offer a vast number of counterfeit goods, including fake smartphones, designer bags and alcohol. It urged Alibaba to clean up its act, and even alleged that the company may be deliberately allowing the sale of knock-off products to continue. Foreign brands have also complained. In May, luxury fashion purveyors including Gucci and Yves Saint Laurent filed a lawsuit against Alibaba, claiming that the company's search algorithms direct customers to counterfeit products. Then in July, the American Apparel & Footwear Association sent a letter to Alibaba's chairman, Jack Ma, demanding the company do a better job resolving the problems. "We are asking for Alibaba to begin addressing counterfeits in a manner that is transparent, comprehensible, and fast," the letter said. The Chinese e-commerce giant, however, insists it's made progress cracking down on counterfeits, including adding new employees to find infringing goods. Alibaba has over 300 million annual active buyers, and customers come to its sites to buy quality products, the company's vice chairman, Joe Tsai said in January. 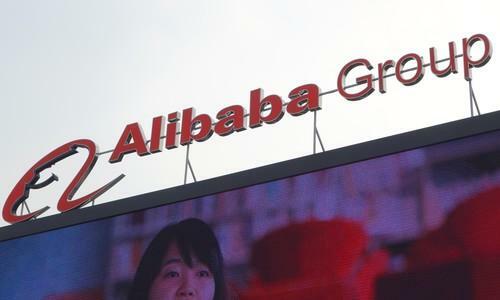 Although Alibaba has its own internal anti-counterfeiting safeguards, the new English-language system will help it identify suspicious product listings that it's missed, the company said on Friday.